Under U.S. immigration law, citizens (and in some cases, legal permanent residents) can submit a petition that allows certain family members to immigrate to the United States. In some cases, an immigrant visa may be immediately available to the foreign family member. In other cases, there may be a considerable wait before an immigrant visa becomes available. In either case, an experienced immigration attorney can help you understand your options. Family-based petitions represent one of the major ways that people can immigrate to the United States and obtain legal permanent resident status (also known as a “green card”) and eventually citizenship. If you have a spouse, parent, son, daughter, or sibling who is a U.S. citizen, they may be able to file a petition on your behalf that will allow you to obtain an immigrant visa. Similarly, if you have a spouse, parent, son, or daughter who is a legal permanent resident (or “green card holder”), they may able to file a petition on your behalf.. In some circumstances, a fiancé may be able to file a petition on your behalf as well. The U.S. immigration system is complex and often difficult to navigate. Even a petition that seems simple and straightforward often involves complex issues that may not be easily understood by non-experts. Mistakes in the application may result in a denial, but can sometimes have even worse long-term consequences. 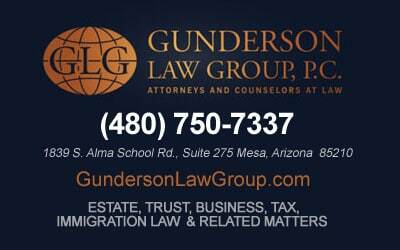 The immigration attorneys at Gunderson, Denton & Peterson, P.C. are experienced in handling these important issues. They can help you understand your options and provide the expert guidance and assistance you need to avoid potential problems. All of our immigration attorneys are members of the American Immigration Lawyers Association (AILA) and spend a considerable amount of time each year ensuring that they are well informed and kept up to date on the current state of immigration law. Call us today to learn more about our family immigration services and to evaluate whatever options you may have.